Nestled in the trees of Discovery Park, this nature inspired play area enhances a child’s experience in the great outdoors. The main event is a two story tower structure. Kids get to choose from multiple fun ways to climb up to the first level. From there, kids have the choice to slide down, play with sensory panels, climb to the upper level, or make their way to the Netplex Climber. In addition to having a natural theme, Discovery Park Playground includes custom components, making it a unique play experience. The 2-5 play structure matches the aesthetic of the 5-12, so the younger kids will not feel left out playing on their playground. 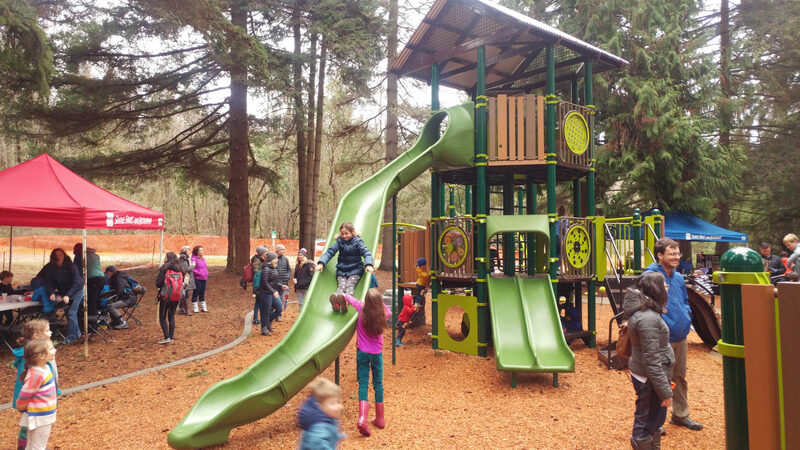 In conclusion, Discovery Park Playground is one of a kind and is fun experience for all ages!